I have talked about PDF tools many times. It included both , PDF to word convertors and Word to PDF convertors. Some of them i talked about were MagicPDF, Primopdf and Advanced Pdf to Word Converter among many. All these tools are free for use. 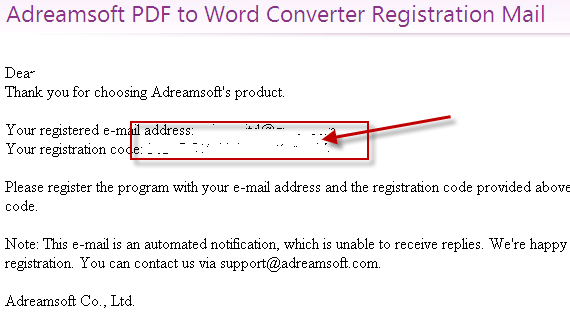 Today i will be talking about Adreamsoft PDF to Word Converter. 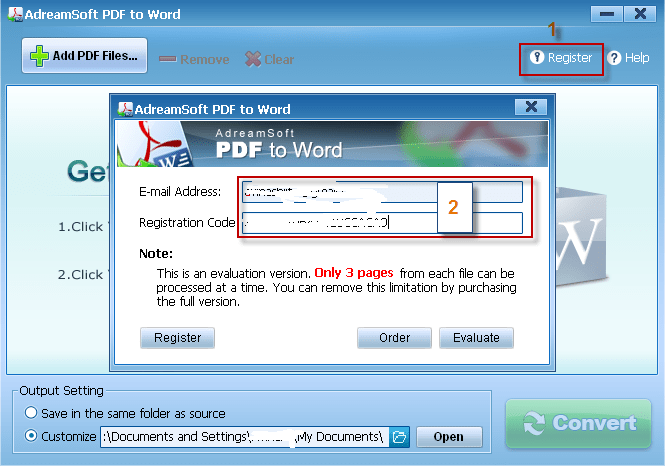 Adreamsoft PDF to Word Converter is the most easy-to-use PDF to Word software that empowers you to convert PDF files to Word documents with only two clicks, import and convert! By converting a PDF to Word, editing and revising read-only PDF come true. Normally it costs around $29.95, but for timebeing, you can get it for free. Please follow the following steps to get it free. 1. Visit this promopage. And click on download button. 2. After downloading the setup file, install it on your system. 3. After installation, click on get keycode button and you will be take to a webpage. 4. Fill your name and email addresses and click submit. You will get your license key mailed in your email inbox. 5. Use the license obtained above to activate your software as shown below. 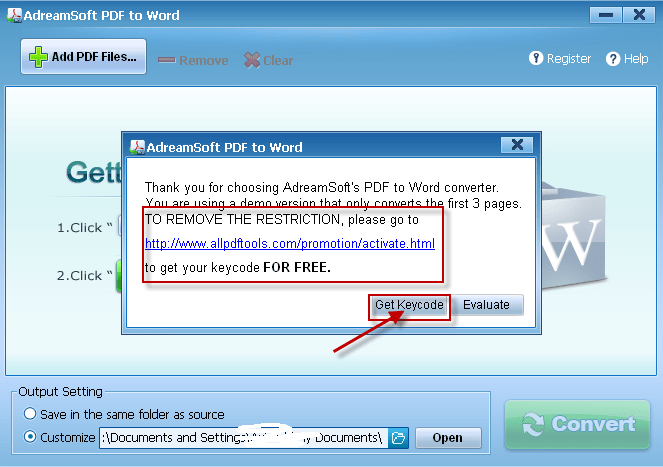 I tried this software by converting few PDF files and the results were quite impressive. So grab this offer till its hot.